We help leaders to engage and activate their teams, to make powerful shifts in business. Our aim is to give leaders, managers, project managers, planners, and designers, the necessary strategies, techniques and tools, enabling them to make a difference to the outcomes of the projects, developments and change initiatives that they work on. I really enjoyed the presenter providing real world situations that she learned from and how she utilized peer feed back to adjust her approach. Kudos and credibility. This is a must watch for PM’s in my opinion. Awesome Job! Great information. It showed the importance of looking at the whole life cycle early in the project by getting all stakeholder requirements. This applies to all industries. … more events to be posted soon! DO YOU HAVE AN UPCOMING EVENT YOU'D LIKE A SPEAKER FOR? Over the past decade, I have presented for various groups within the mining, construction and project management sectors, ranging from large audiences at national conferences, to medium-sized groups of university engineering students, to smaller luncheon functions for team learning or professional associations. I have spoken frequently on mining waste management, sustainability and integration of sustainability into projects and processes, but also on Lean, leading through change, collaboration and engagement. I focus primarily on the integration of various improvement principles and methods into projects, improving team collaboration, and engaging and empowering personnel to facilitate successful change initiatives. Personalized presentations and webinars can be developed based on the theme of the event, the desired message, and the audience to be engaged. Scroll down for a list of previous speaking engagements, and read previous blog posts on similar topics here. Tune in to hear how Design Thinking can not only help stimulate the development of new and better products and projects, but also stimulate engagement and create more collaborative teams. The three keys to making your organization soar—not just perform—are good economic returns; environmental performance; and the social aspect, particularly employee engagement and collaboration. WOW - best webinar I have seen in a while!! Good tips on how to drive workforce and operational efficiency and how to better equip your employees for sustained high performance. Leading organizations have been found to demonstrate key characteristics and capabilities adopted and embraced by every employee. Listen in to hear how these living team practices are much more than just utilizing a set of tools and analysis methods to monitor performance and correct issues. Every person, team and discipline in an organization can play a role in the facilitation of initiatives aimed at improving stakeholder support and improvements in environmental performance. These personnel need only the connection and alignment of their own roles to the proposed targets, and the opportunities to present and implement solutions and strategies within their scope. With small contributions from all team players, success can be had through alignment. I really enjoyed the presenter providing real world situations that she learned from and how she utilized peer feed back to adjust her approach. Kudos and credibility. This is a must for PM’s in my opinion. Awesome Job! I’ve attended several webinars but this has been the best I’ve ever attended. I like how the presenter checked in on the audience engagement from time to time with surveys or “yes/no” answers in the comment boxes. The work of each engineering discipline plays a significant role in enabling risk avoidance and improvement in design, as well as addressing external stakeholder concerns and requirements. Hear an introduction to key strategies and tools to improve the success rates of projects that involve potential environmental and societal impacts, and the approval of multiple stakeholders. Interesting content! Clever presentation of Opportunities and Challenges while introducing improvements. Thank you! I enjoyed your presentation and the long term perspective to which you are asking producers and EPCs to consider during mine design and operation. Have aN Event or Topic Idea? Our membership liked the presentation and I could tell it provoked thought from those that attended. Ms. 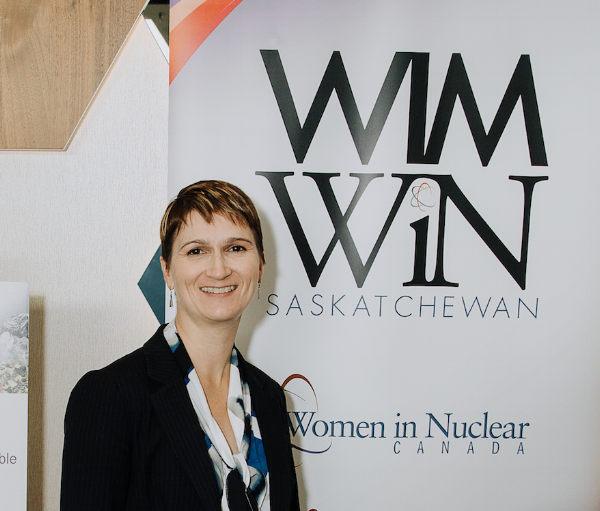 Chovan recently prepared and delivered a terrific presentation about ways to improve performance and approval rates of complex industrial projects to women in the mining and nuclear industries in Saskatoon. The overall impacts of projects are not a focus in school, so it was valuable to have a presentation that reminded us to be aware of our actions.